NHL hockey has been pushed to the backseat in recent years compared to the NFL, NBA and baseball in America. For European tipster circles it’s soccer, horse and dog racing. But, this sport still enjoys a vast popularity with many sports betting experts. The NHL hockey playoffs are particularly enjoyed in a North American region where it gains plenty of betting action. The excitement increases as the competition reaches the Finals and culminates with the NHL Stanley Cup Finals. This provides bettors with plenty of competitive odds and an opportunity to make potentially profitable bets. The popularity of the sport hits to strike a personal chord with most avid ice hockey tipsters. It exceeds the most distinguished levels of competition spreading across division, conference and hugely-contested rivalries that go centuries back. For those of you who have yet to embark into the adventurous ice hockey betting journey, further below is the ultimate NHL hockey betting guide. Included is relevant information as to how to bet on hockey playoffs. Before you go on plunging into the world of puck playing sport, get your facts straight. Do the research and gain the knowledge that will help you maximize the bets you plan to make. 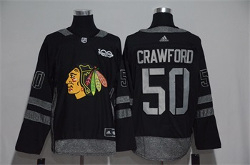 The 100th Anniversary jersey for Chicago Blackhawks goalie Corey Crawford. Burn the midnight oil and pull an all-nighter if you need to. You’re required to know your hockey backwards and forwards to make it work in the betting segment of it all. The NHL is knee deep past its 100th birthday. Right now there are 31 teams, 24 from the United States and further seven from Canada. They all compete in an 82-game regular season which provides daily excitement for bettors around the globe. The playoffs are packed inside a seven-game format which brings the best of any club battling to lift the coveted trophy. The NHL has always used a playoff tournament to determine the champion and that’s the competition format in a nutshell. Digging deeper in detail for those who read these lines with little to no knowledge in the ice hockey game. 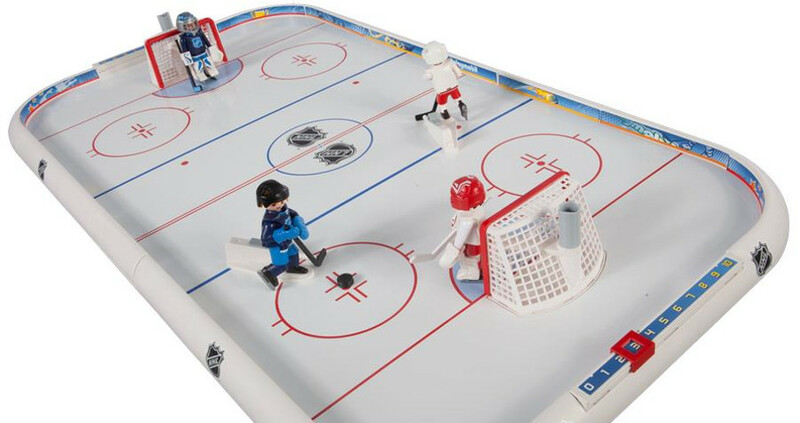 The ice rink will typically host 20 players across two teams with six players, 5 skaters and a goalie. Each team would normally come with 12 forwards, six defense players and two goaltenders. Games are three periods long, each lasting 20 minutes. A team which scores more goals during the total of 60 minutes is a winner. That’s as far as rules and regulations are concerned that we’ll go in this article. Now we’ll switch our focus to the betting side of things. For more betting options than you can shake a hockey stick at, check out Betonline, currently offering a 50% Welcome Bonus of up to $1000! If you want to place a wager but don’t know where to start, start with our honest reviews here. Apart from elementary knowledge of regulations and rules, any prospective ice hockey tipster needs a lowdown on NHL participants. Well, at least the biggest, most boisterous names in the business. “The Original Six”. When it comes to hockey it can hardly get bigger. These are rivalries existing among the six teams that carried the NHL through its formative years – from 1942 to 1967. These Original Six were all founded between 1909 and 1926. It’s been three years since a member of the Original Six last won the Stanley Cup. 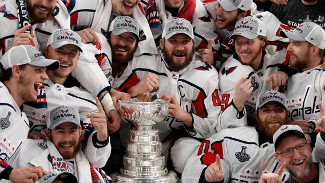 Heading into the new season it will be extremely interesting to see who earns the right to take the crown away from the Washington Capitals – given 13/1 at Bet365 to defend their title. The main form of ice hockey betting is either a game-to-game basis or the entire series. The Washington Capitals celebrating their 2018 victory. Long-term bets entail NHL futures going all the way to lift the Stanley Cup – win outright – to win division/conference or to finish the season as top goalscorer. When it comes to the 2018/19 season, Toronto Maple Leafs are the leading favorites with 13/2 bets available at bet365 and most betting powerhouses. Nashville Predators are a step behind with 17/2 stacked in their favor, while Winnipeg Jets complete the top three at 11/1. The online betting world has gone through a proper evolution over the past couple of years. Betting sites popping out on regular basis. Markets getting so diverse and abundant as to cater every punter’s individual needs. Score bets are of particular interest for keen bettors. They will scroll through a variety of options – team to score first, multi goalscorer, team to score last etc. Game props – as particular form of betting on specific event happening in a game – is available at ice hockey betting and it would normally entail a +/- 1.5 line, Over / Under or Exactly 5, O/U 5.5 totals or a specific moneyline. Once you decide, make sure to go line shopping in order to find the best betting venue that offers best odds for teams and lines you’ve handpicked for the NHL hockey playoff. The aforementioned Bet365, along with other giants in the sports betting industry such as Betfair, 888sport or Bovada are a safe choice for either type of betting. For being perhaps one of the most coveted trophies in the world, you’d be amazed at the number of times it’s been stolen, lost or just forgotten about. Ice hockey punters with any – even the slightest – experience in the game will tell you that betting on ice hockey is all about timing and line matchups. Ice hockey is an action-packed sport with loads of movement, fluency and flying changes which is why tipsters need to be particularly vigilant when making their picks regardless on the odds offered to them. Needless to say that the latest trend in sports betting – In-Play Betting – is the single favorite form of betting in ice hockey as it takes the entertainment and excitement level a couple of notches up in relation to most other sports. Knowing the ins and outs of the sport – or at least a particular team you bet on/against – is extremely helpful with NHL hockey playoff betting. Coaches will usually shuffle their teams to accommodate game to different rivals on a different night and betting on hockey is all about making smart picks. Some teams are statistically likely to score early and raise the brick wall in front of their goaltender whereas some others will usually leave it late to settle the score. Stats trends are there to be studied and examined, written down and crossed out as numbers will definitely paint a clearer picture when it comes to ice hockey. When a player of a team commits a foul and infringes a rule during a game, he will be sent over to the penalty box for the duration of two to five minutes, depending on the penalty. What we get is a five-on-four attack universally known as power play. The shorthanded side will deploy a penalty kill unit in attempt to cushion the rival’s number advantage and mastering the tactics and insight behind this specific form of play tends to be crucial in ice hockey betting. Once a specifically important aspect of the game, home ice rink advantage has lost its value over the years and home teams carry little to no upper-hand in relation to direct rivals and competitors. Games would usually come down to a coach’s approach and tactics, and often down to special teams and power play. A straightforward, simply-put conclusion is to be drawn for all ice hockey betting enthusiasts regardless of their experience. Study the specifics, find the best bets. Find the best odds. As a result, find the best match for your financial potential. Let the numbers do their magic with filling your pockets based on the calculated, knowledgeable analysis.